Raise your hand if you are mad for plaid! 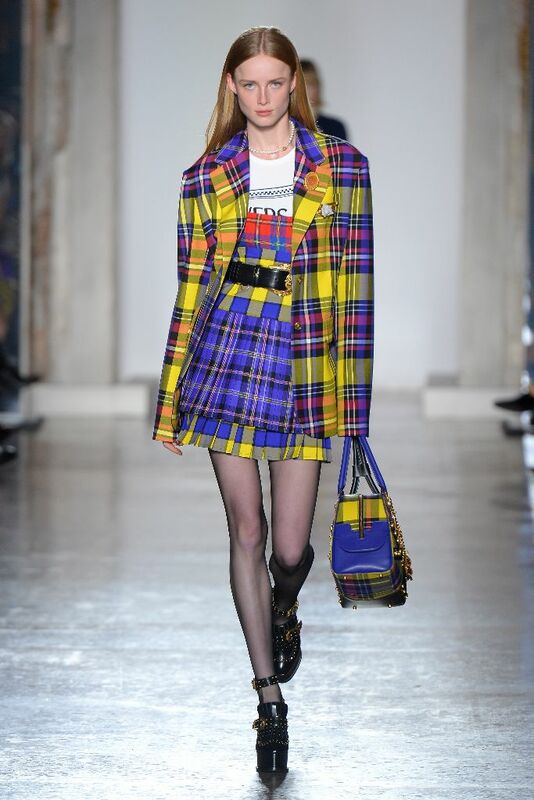 We saw plaid in every shape and form on the runway for fall. Head to toe you can add plaid to your look. 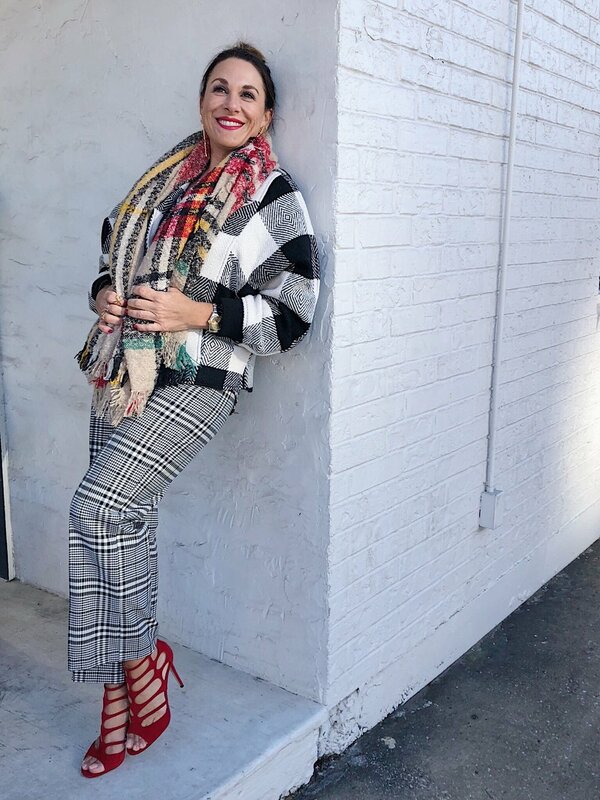 Break plaid out of the same monotone form and give it color, make it oversized, wear it in dresses, shoes and coats…oh my! Plaid is also the perfect print to mix with florals, animal print, stripes and all the patterns you can think of! Here are some tips for mixing your patterns. Both for mixing different plaid pieces together and also when you want to mix in one of the other prints (animal, floral, stripes). You want some similar colors between the different patterns. So maybe it’s all black and white, similar to what I have done, or maybe you are doing wine and navy, sky is the limit! But when you pick your color scheme keep those colors consistent in each printed item and that will help it flow and not compete. Also, keep the prints different sizes. Here my pants are a smaller plaid and my jacket is a larger buffalo plaid. So they go and don’t compete for the eyes attention. Go for this trend babes! It is so fun and perfect for fall/winter. Adding plaid as a pop or creating a full plaid look is a definite in your style future!